Future’s End is barely done with its first month and it’s still churning out excitement after excitement. After the catastrophic events during Green Arrow’s funeral, Ronnie Raymond isn’t feeling much like himself as he snaps into full-on crazy after failing to help Ollie. Ronnie decides to be Firestorm full time while keeping Jason Rusch against his will in the body of Firestorm. It’s clear that Ronnie feels terrible about not doing his job as a hero, so he’s doing whatever he can to make up for it, but at the same time he is destroying whatever relationship he had with Jason in the process. 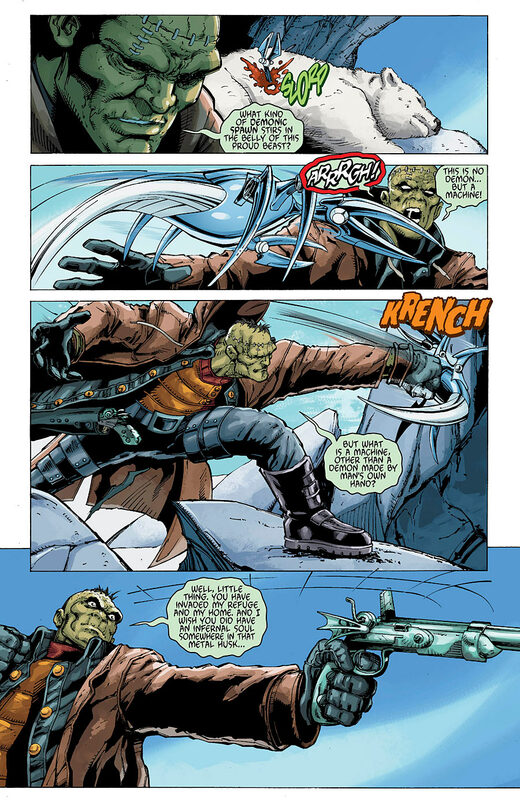 On the other side of the world, Frankenstein is starting to hunt down various robots and starts to learn that the ones from the future were possibly created by his old friends from SHADE – meaning he might be one of the keys to stop the results in the near future. 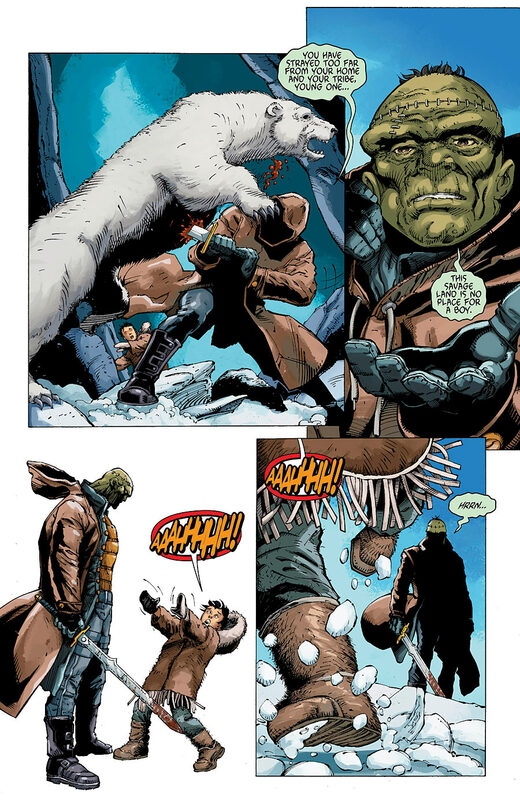 Meanwhile, Grifter is doing what he’s been doing since his book got cancelled, which is hunting daemonites (because we cared SOOO MUCH about that during the first 16 issues of Grifter…) while figuring out how to fully exorcize the daemonites from a human host. You’d think in five years Grifter would find some sort of a solution. 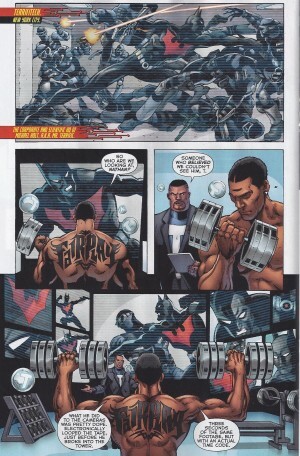 Mister Terrific starts keeping tabs on Batman Beyond, because he has something planned for Terry. It’s interesting what the writers are doing with Mister Terrific; he seems very shady while also being a jerk to everybody. 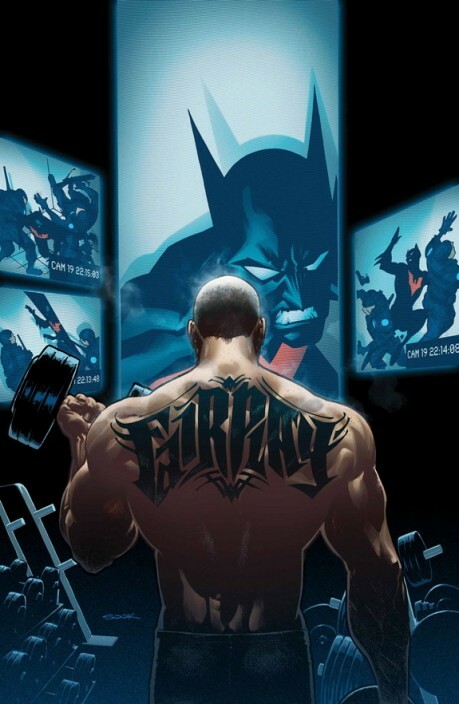 Plus, he’s now got a crazy jacked body that he never had before, complete with bodyguards and an ensemble. We don’t get to see much more of Mister Terrific, the story jumps to Lois Lane who talks about the Earth 2 War which was briefly mentioned in the last issue. The issue ends with another crazy twist that involves some more hero casualties during the Earth 2 War. 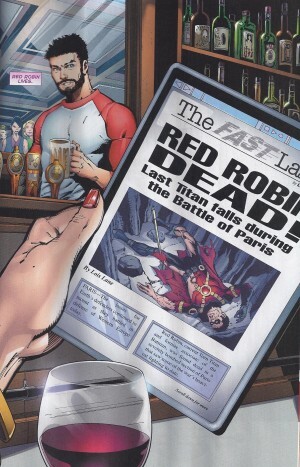 I just hope that Futures End doesn’t end up like an aftermath to the more important Earth 2 War book coming soon. The story still reads great, with fantastic art by Dan Jurgens, while also doing a good job keeping a fair amount of intrigue about what happens next. The writers are doing an amazing job, but I feel like this book won’t matter when the third weekly series comes out. +Great writing and art from Dan Jurgens and company. +Every issue leaves me wanting to read the next one even more.